Consumerism is a movement that seeks to protect and inform consumers by requiring practices like packaging, advertising, product guarantees, and safety standards. In theory it is also the outcome of producing greater consumption of goods for the benefit of the economy. Since we have become a society that is concerned with the state of our environment, consumerism has become eco-friendly. 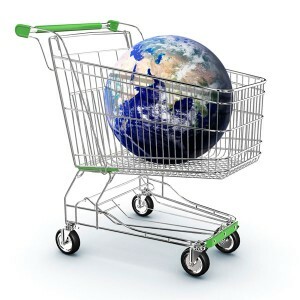 Green consumerism is a new movement that is concerned about products and services that are considered ethically made. This means with minimal harm to or exploitation of humans, animals, and/or the natural environment. Green consumerism is interesting in that it focuses on us buying green products. Well how beneficial are green products to the environment if we don’t use them properly. An article written by Jacquie Ottman titled “The Next Frontier in Green Marketing is Responsible Consumption” pinpoints this issue spot on. The article provides an example: how is an eco-friendly light bulb eco-friendly if the light remains on after everyone leaves the room? They contradict each other. We may feel good about doing our part if we buy green products, but we need to focus more on the behaviors we conduct when we use them. It defeats the purpose of buying green if we are not using the products in an eco-friendly manner. Going green is based on behavior. If we want to be buy eco-friendly products we must learn green behaviors. If we look at this issue from a business perspective, marketers of green products should focus on adding value for consumers and providing them with the needed knowledge of how to use the product. Buying green products and using them properly is how we will help save our planet. Green consumerism is on the rise and more consumers feel they have a personal responsibility to do their part to help the earth.